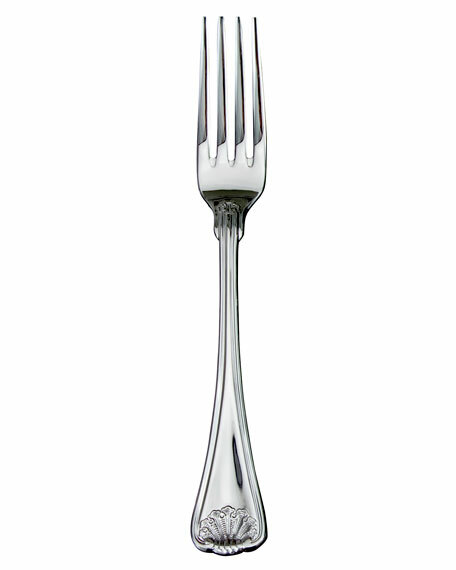 18/10 stainless steel dinner fork. Handle features a traditional shell design and thread border. For in-store inquiries, use sku #684189.